What’s more, immigration law defines parents of U.S. citizens as immediate relatives. Therefore, parents get priority as compared to other preference-based family relationships. There is no numerical limit on immigrant visas for immediate relatives. In other words, there isn’t the long wait associated with other categories when you help your mother or father obtain permanent residence in the United States. The process begins by filing a visa petition for your mother or father. Unfortunately, permanent residents cannot petition a parent for a green card. The best solution is for the permanent resident to naturalize as a U.S. citizen and then submit a petition for the parent. Download a free guide about Becoming a U.S. Citizen or start Form N-400, Application for Naturalization. By filing Form I-130, Petition for Alien Relative, you are requesting that the government recognize your relationship with the parent and also requesting that a visa be reserved. When the I-130 petition is approved, the government is acknowledging that there is a qualifying relationship and that a visa is available. Fortunately, parents of U.S. citizens are considered immediate relatives. This is a favorable classification in immigration law as there are no limits on the immediate relatives to obtain a green card. Preference categories, on the other hand, can require several years to obtain a visa number as there are restrictions on the number of people that can obtain a green card through a preference category. 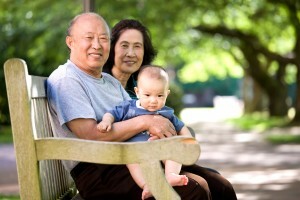 Learn more in Family-Based Immigration to the United States. Again, the purpose of filing Form I-130 is to establish the legitimacy of the relationship between the petitioner (U.S. citizen) and the beneficiary (parent). Therefore, it’s imperative to submit evidence of a valid relationship. Based on the specific type of relationship, the requirements vary. When you file the Form I-130, Petition for Alien Relative, you will also submit the following supporting documentation. A complete set of I-130 instructions can be found on USCIS.gov or by using CitizenPath’s Form I-130 preparation software. If you are helping both parents get a green card, you will need to file a separate Form I-130 for each parent. Generally, most people can file the I-130 petition on their own. However, adopted petitioners that want to help a parent get a green card should consult with an experienced immigration attorney. The laws surrounding adoptive relationships are complex and can be best addressed by an attorney. Filing Form I-130 is just the first step to help a parent get a green card. 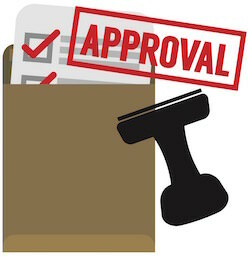 When the Form I-130 is approved, it’s not the grant of permanent resident status (green card). It’s simply the recognition by the U.S. government that you have a valid relationship. Consular Processing – Parent is Living Outside the U.S. If the mother or father that you have petitioned is living abroad, he or she will have to wait until the Form I-130 is approved before starting the green card application process through a U.S. embassy or consular office. This is known as consular processing. Adjustment of Status – Parent is Currently in the U.S. 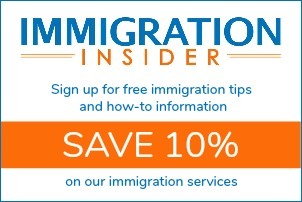 If the mother or father that you have petitioned is physically present in the United States (through a visa or other lawful means), then later decided to apply for a green card, he or she may be eligible to file Form I-485, Application to Adjust Status, at the same time as the I-130 petition. When filed concurrently, the green card application will be processed more quickly. Your parent may only file Form I-485 if he or she is already in the U.S. This is known as adjustment of status. When United States grants a foreign national a tourist visa or some other nonimmigrant visa, it does so with the understanding that the visitor intends to return to the place of origin. However, if a foreign national uses a nonimmigrant visa as a way of gaining U.S. entry with the actual goal of adjusting status to permanent resident, the U.S. government considers this visa fraud. In this circumstance, the government may deny a green card based on the misuse of the nonimmigrant visa. Your parent should not travel to the U.S. on a temporary visa with the intention of staying permanently to an adjustment of status application. This is considered a misuse of the visa and the green card application will most likely be denied. Regardless of your parent’s eligibility for permanent residence, your mother and/or father also must also show that they’re not inadmissible to the United States. In other words, they’ll need to demonstrate that they don’t pose a danger to U.S. society on financial, health, security, immigration violation, or criminal grounds. You’ll need to show sufficient income or assets to support your parents at 125% of the U.S. poverty guidelines (in addition to supporting your own family). If your parents can’t support themselves, this measure helps to ensure that they won’t depend on government assistance. To see the current poverty guidelines levels, see Form I-864P. 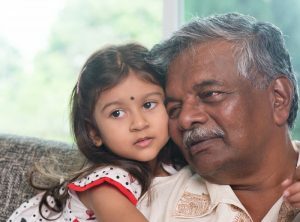 Your parent will be required to have a medical examination conducted by a USCIS designated physician. The examination is required to establish that an applicant is not a public health risk such as a carrier of a disease that presents a public health risk, or having a dangerous physical or mental disorder. See Form I-693. Your parent’s immigration history will be reviewed. The application will likely be denied if your parent has overstayed a visa by six months or more, or if you parent has ever entered the country unlawfully. The government will also seek to determine if the parent’s visa (if applicable) has ever been misused. Your parent will certainly run into problems if he or she has committed certain crimes, like aggravated felonies, drug crimes, or acts of terrorism. If you believe that you mother or father may be inadmissible for any reason, contact an experienced immigration attorney before filing any USCIS form. A waiver may be available in certain cases. A green card is intended for immigrants who intend to live in the United States permanently. After all, it is known as a permanent resident card. Thus, obtaining a green card for your parents is not a good strategy so that they can make extended visits to the U.S. more easily. If at any time the U.S. government believes that your parent does not intend to make the U.S. a permanent home, a green card can be revoked. If your parent leaves the U.S., even for a short time, and upon return the Customs and Border Protection (CBP) officer believes that their real home is outside the U.S., the officer can deny entry to the U.S. and revoke the green card. Travel outside the U.S. of six months or longer will likely raise questions about residence. Travel of a year or more raises a presumption that they have abandoned their residence. CitizenPath provides simple, affordable, step-by-step guidance through USCIS immigration applications. Individuals, attorneys and non-profits use the service on desktop or mobile device to prepare immigration forms accurately, avoiding costly delays. CitizenPath allows users to try the service for free and provides a 100% money-back guarantee that USCIS will approve the application or petition. We provide support for the Petition for Alien Relative (Form I-130), Adjustment of Status Application (Form I-485), the Citizenship Application (Form N-400), and several other USCIS forms.